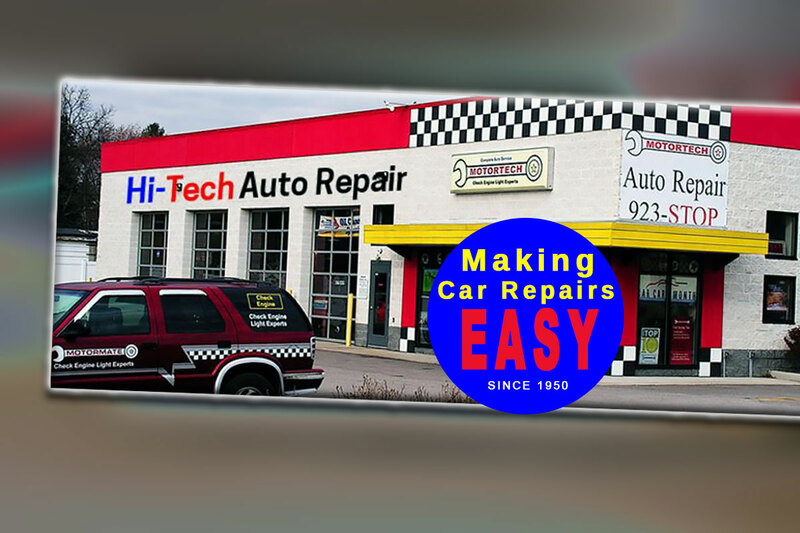 MOTORTECH Auto Service is located in Cuyahoga Falls, Ohio and our Fleet Repair Center is located in Stow, Ohio. Both locations are "Award Winning" service centers. Call 330.923.7867 for your next appointment. We have the answers to your auto service needs. Free hand-outs are available in our lobby. Each hand-out explains in laymans terms helpful information about motor vehicles. Call 330.923.7867 for your next appointment. 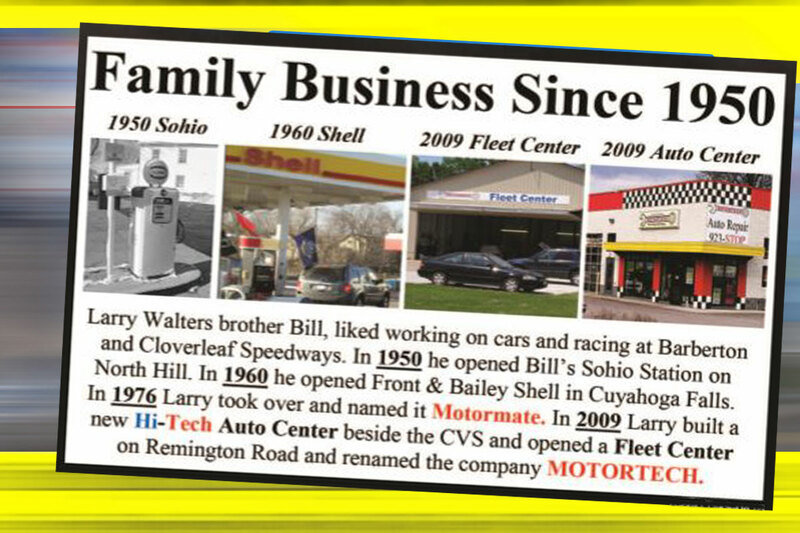 MOTORTECH has been a family owned business in Cuyahoga Falls for over 60 years. Call 330.923.7867 to schedule your next appointment. Brake pads and rotors, emergency brakes, brake lines, brake fluid and more. Let Motortech get your vehicle on the road and safe again. 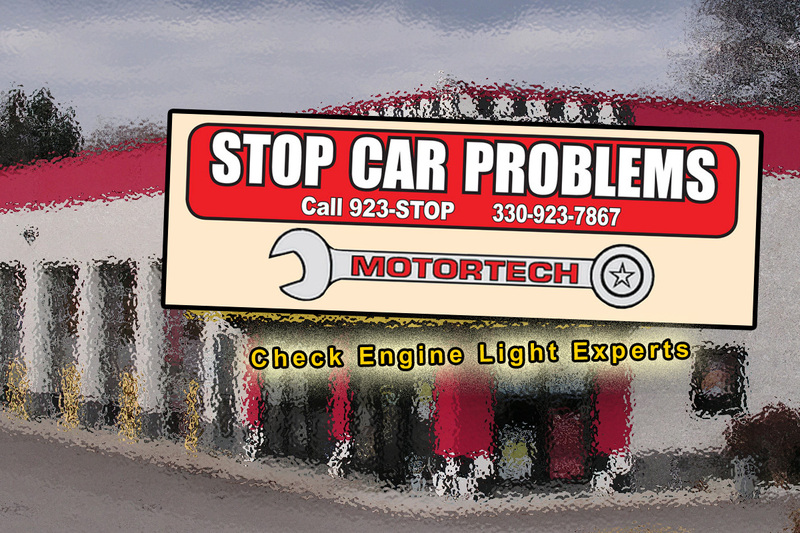 MOTORTECH is this areas experts at fixing your check engine light problem. we offer free code readings. We also offer half price testing when you have the problem repaired. We can fix your steering problems and rough riding suspension. Electronical engine diagnostics, code readings, rough idle, stalling, poor gas mileage. Let MOTORTECH handle all your vehicle repair needs. MOTORTECH will get your car small truck or van running smooth again. Complete fuel injection tune-ups and repairs provided by qualified experienced repair professionals. If your engine is over heating, this should not be ignored. This may cause serious engine damage if left as is.